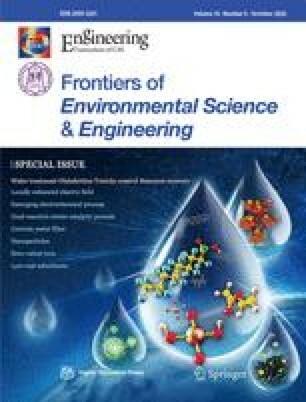 Community Multi-Scale Air Quality (CMAQ) estimates of sulfates, nitrates, ammonium, and organic carbon are highly influenced by uncertainties in modeled secondary formation processes, such as chemical mechanisms, volatilization, and condensation rates. These compounds constitute the majority of PM2.5 mass, and reducing bias in estimated concentrations has benefits for policy measures and epidemiological studies. In this work, a method for adjusting source impacts on secondary species is developed that provides estimates of source contributions and reduces bias in modeled concentrations compared to observations. The bias correction adjusts concentrations and source impacts based on the difference between modeled concentrations and observations while taking into account uncertainties at the location of interest; and it is applied both spatially and temporally. We apply the method over the US for 2006. The mean bias for initial CMAQ concentrations compared to observations is −0.28 (OC), 0.11 (NO3), 0.05 (NH4), and −0.08 (SO4). The normalized mean bias in modeled concentrations compared to observations was effectively zero for OC, NO3, NH4, and SO4 after applying the secondary bias correction. Ten-fold cross-validation was conducted to determine the performance of the spatial application of the bias correction. Cross-validation performance was favorable; correlation coefficients were greater than 0.69 for all species when comparing observations and concentrations based on kriged correction factors. 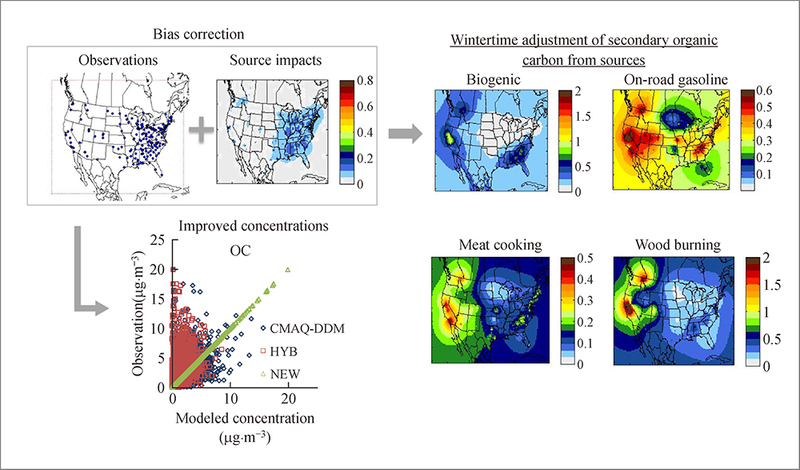 The methods presented here address model uncertainties by improving simulated concentrations and source impacts of secondary particulate matter through data assimilation. Secondary-adjusted concentrations and source impacts from 20 emissions sources are generated for 2006 over continental US. Supplementary material is available for this article at 10.1007/s11783-016-0866-6 and is accessible for authorized users. Supplementary material, approximately 1.00 MB.